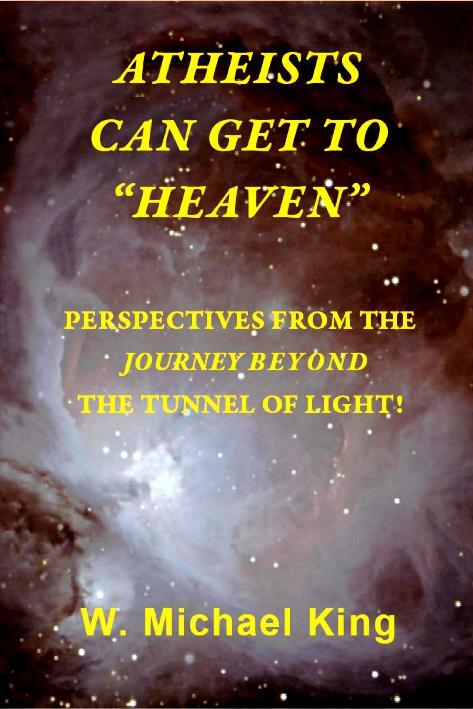 ATHEISTS CAN GET TO "HEAVEN"
IS FOUND THROUGH FREEDOM OF THE MIND. Copyright W. Michael King, 2008 & 2009. All rights reserved. No part of this site or images may be reproduced or transmitted in any form or by any means, electronic or mechanical, including photocopy, recording, or by any information storage and retrieval system, without permission.